Tired of the constant barrage of election news and political commercials? Maybe what you need is a quick getaway to a place that seems timeless–filled with autumn leaves, brisk air, peace and quiet. 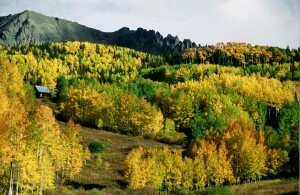 If you plan a trip now, you can find some great low-season deals in northern Arizona. Low season in Arizona’s northern region is generally November through April, when the bargains start to pop up in the high deserts. For anyone on a budget, you’ll find great deals located around hubs like Flagstaff and summer-crowded parks like Grand Canyon. Bring a hat and warm jacket and load up the iPod with some grand tunes to match a grand landscape–you’ll appreciate them all here. Hotel lodging rates dip by at least 10 percent in fall, more during winter in the region. Worried that there won’t be enough to do? Then you don’t know northern Arizona. Explore the mysteries of the Native American site of Canyon de Chelly, picnic with views of fall color in the San Francisco Peaks near Flagstaff, or take pictures with nobody else in them at the edge of a peaceful Grand Canyon. Plan a fall or winter escape to the state’s northern region and you’ll feel like you have Arizona all to yourself. Then, after you’ve seen the gorgeous fall color or taken in a few snowy landscapes, perhaps you’ll want to warm up again by swinging back down to the state’s southern half. Good thing you’ve saved some dough on the northern half of your trip, because fall and winter are high season here. 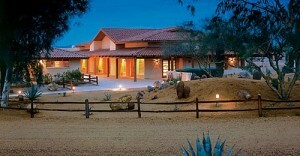 But its worth it, because this is where most of Arizona’s working and luxury dude ranches are. And they boast some of the most amazing scenery in America. Bring sunscreen, a camera, and your sense of wonder–you’ll need them all here. Take Rancho de los Caballeros, in Wickenburg, for example. Trial rides and jeep tours take you over rugged, saguaro-edged trails to views of purple mountains, then back to the spa to relax. And if you want the kids to learn a little bit of history while they’re sunning themselves, you won’t have far to look: Arizona has well preserved settlements from prehistoric Native Americans, Spanish vaqueros, and the Old West. 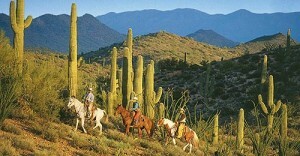 Details: For a list of Arizona ranches and a host of travel bargains, go to Ranchweb.com. While we might not phrase it as, ahem, colorfully today, the basic thought is still true. 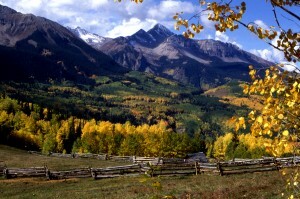 Fall is still a great time on the ranch, and you can find some pretty fantastic vacation options out there this month. 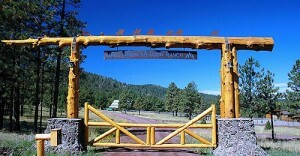 And the Ranchweb blog remains ready to help you choose your dude and guest ranch vacation. Who else is celebrating a birthday today? Well, Amazon is marking five years since the unveiling of a cloud infrastructure (aka cloud computing). Oh, and five years ago Apple started a little thing called the iPhone. That’s pretty good company to be in (maybe we should send Apple a piece of our birthday cake). As long as we’re in the ‘Wayback Machine’, let’s pause to remember what other things were like in October 2008 (or are you trying not to)? See, that’s also when we marked the start of the economic crunch (or, as the Financial Times reports, “It’s been five years today since the economy went to crap,”). While not as much has changed since 2008 as we would all like, the American economy has pulled back from the brink and in the U.S., we’re gaining jobs instead of losing them. And although we feel for those spreads in areas suffering through terrible drought conditions, life is still good in ranch country. Here at Ranchweb, we’re offering more services than ever: trip planning help through a concierge service; tips, news, and laughs on our Facebook page; targeted website help (from sites like Flyfishingranchesandresorts.com); and more up-to-the-minute information on deals, gear, food and dining, and general ranch news in our just-launched free quarterly newsletter, the Ranch Roundup (sign up for e-delivery on our website). So stick around, Ranchweb fans, and let’s see what the next five years will bring! Dogs, cats, horses, and other fauna are a regular fixture at almost every ranch, but that doesn’t mean your own little Fido is necessarily welcome. It’s always best to check first to find out what the policy is on pets at any lodging, but especially at a dude or guest ranch, since there are so many other animals around that might not be ready to interact with your little pal. What to do if you want to/have to bring your pet along on vacation? Luckily, Ranchweb has your back. Our website features a whole list of categories that let you select out just the ranches you want to consider. Pets Welcome is one such category. Here you’ll find places like the Hidden Meadow Guest Ranch in Arizona and the Bar W Guest Ranch in Whitefish, Montana, and many others. 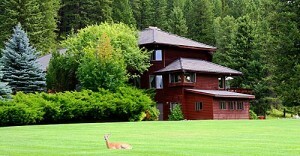 Open year-round is Hidden Meadow Ranch. They love pets so much, they created a limited number of pet-friendly cabins. As they put it, “Your animals friends will enjoy a vacation with a high level of service, too!” Currently, three cabins (Squash Blossom #1, Blue Quill #6, and Trail’s End #12) accommodate pets with attached dog run/play yards. But the ranch does need to know about your pet ahead, so make arrangements for Fido at the time you make your reservations (there is an additional charge for pets, please see the website). At most ranches, visiting pets must have proof of current vaccinations, must be kept on leash while on the ranch except when in the cabin dog run or in fenced play area, where pups may play with owner supervision. And Hidden Meadow has other rules: If the owner is not in the cabin, pets must be in the dog run/play yard or crated. Food and water dishes are provided in pet-friendly cabins, along with fleece sleeping mats to protect the furniture and bedding. Please see their website for full details. Details: Please remember that many ranches are located in national forest lands or Wildlife Habitat Areas, so there are predators and ranch animals around. Respect other guests and keep your pets safe by having your pets on leash.